Kuan-Hsing CHEN is a professor in the Department of Foreign Languages and Coordinator of the Center for Asia-Pacific/Cultural Studies at the National Tsing-Hua University in Taiwan. He is founding co-executive editor of Inter-Asia Cultural Studies. CHUA Beng Huat is professor in the Asia Research Institute and the Department of Sociology, National University of Singapore. He is founding co-executive editor of Inter-Asia Cultural Studies. Asian Cultural Studies or Cultural Studies in Asia is a new and burgeoning field, and the Inter-Asia Cultural Studies Journal is at its cutting edge. Committed to bringing Asian Cultural Studies scholarship to the international English speaking world and constantly challenging existing conceptions of cultural studies, the journal has emerged as the leading publication in Cultural Studies in Asia. 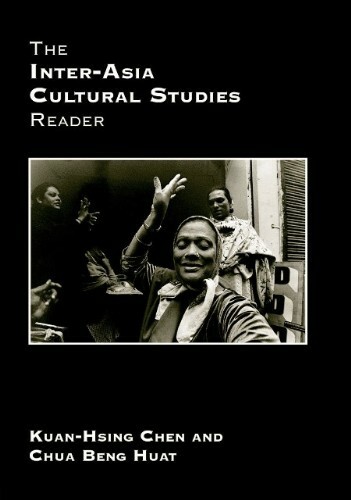 The Inter-Asia Cultural Studies Reader brings together the best of the ground breaking papers published in the journal and includes a new introduction by the editors, Kuan-Hsing Chen and Chua Beng Huat. Essays are grouped in thematic sections, including issues which are important across the region, such as State violence, social movements and work produced by IACS sub-groups, such as feminism, queer studies, cinema studies and popular culture studies. The Reader provides useful alternative case studies and challenging perspectives, which will be invaluable for both students and scholars in media and cultural studies.